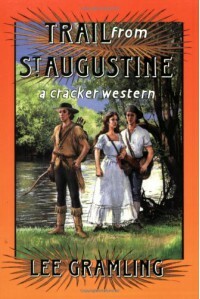 Trail from St. Augustine by Lee Gramling did not feel much like a western and it was severely lacking in character development and plot. The general idea was alright and the writing style was pleasant enough, but as a whole, all of the elements were one-dimensional. The book is adult fiction, but would be better suited for middle grade minus the graphic fight scenes.